For core riders looking for head-gear that takes as little from the experience as possible while looking ridiculously cool, feast your thrill-seeking eyes on this. 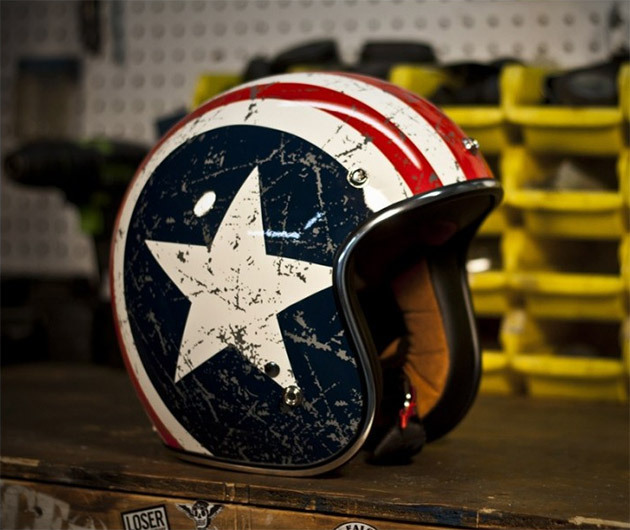 The Torc Rebel Star Helmet sports a classic, slim open-faced design with retro paint job and removable sun visor. Its ultra-suede liner that looks and feels like the real thing.